Broadcom introduced OCP NIC 3.0 adapters supporting the full range of data rates and interfaces from 1GbE to 200GbE. The portfolio includes a wide selection of Ethernet adapter cards with 1-, 2- and 4-port configurations. The new 100GbE and 200GbE adapters, which are based on Broadcom's NetXtreme E-Series Ethernet controllers, also feature Broadcom’s Thor multi-host controller that has the industry’s best performing 56G PAM-4 SerDes and PCIe 4.0 interface. Sampling is underway. Thoma Bravo, completed its previously announced acquisition of Veracode Software, a provider in next-generation application security testing (AST), from Broadcom in an all-cash transaction valued at $950 million. Thoma Bravo noted its extensive experience investing in the cybersecurity software sector. It has completed more than 30 total acquisitions of enterprise security companies to date, including SailPoint (NASDAQ: SAIL), Barracuda Networks, LogRhythm, Bomgar, BlueCoat Systems, SonicWall and Entrust. Broadcom completed its previously announced acquisition of CA Technologies (NASDAQ: CA). CA will operate as a wholly owned subsidiary of Broadcom. Broadcom agreed to acquire CA Technologies (NASDAQ: CA) for $44.50 per share in cash, representing an enterprise value of $18.9 billion -- a premium of approximately 20% to the closing price of CA common stock on July 11, 2018. 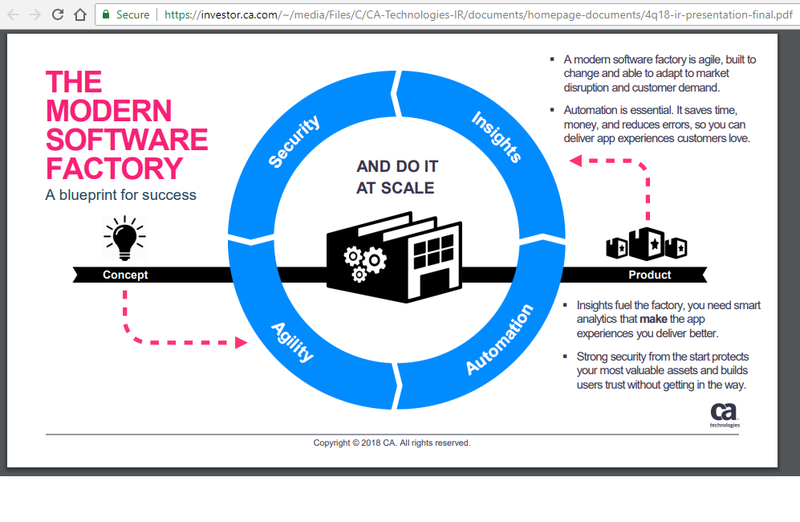 CA, which was founded by Charles Wang and Russell Artzt in 1976 and formerly known as Computer Associates, is one of the world's leading providers of information technology (IT) management software and solutions. The company is based in New York City and is primarily known for its B2B mainframe, distributed computing, and enterprise software. 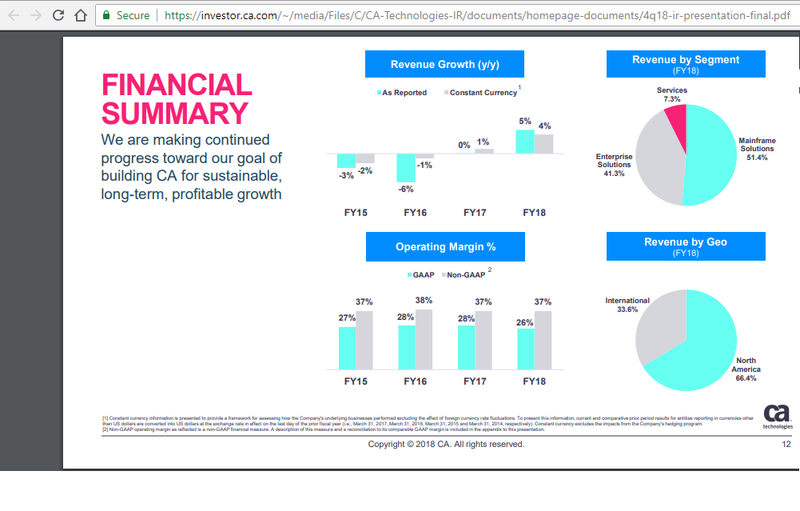 Broadcom notes that CA benefits from predictable and recurring revenues with the average duration of bookings exceeding three years. Thoma Bravo, a leading private equity investment firm, will acquire Veracode, the leading provider in next-generation application security testing (AST), from Broadcom for $950 million in cash. 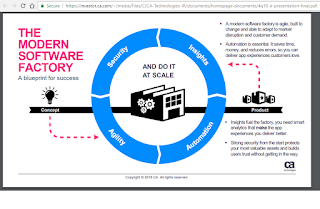 Veracode's SaaS platform and integrated solutions help security teams and software developers find and fix security-related defects at all points in the software development lifecycle. Veracode serves more than 2,000 customers across a wide range of industries, including nearly one-third of the Fortune 100, and more than 20 of Forbes' 100 Most Valuable Brands. "Software security is one of the most consequential issues facing companies as they look to compete in the digital economy. We are proud that our SaaS security platform combines multiple application security testing solutions, helping our customers around the world secure the software powering their companies and enabling them to focus on their core business objectives," said Sam King, current Senior Vice President and General Manager of Veracode, who will become the CEO of Veracode following the close of the transaction. "Partnering with Thoma Bravo, a proven security software investor, is expected to extend our market reach and further fuel our innovation so that we can offer the broadest software security platform and empower us to accelerate growth — all to allow us to transform the way companies achieve their software security goals." 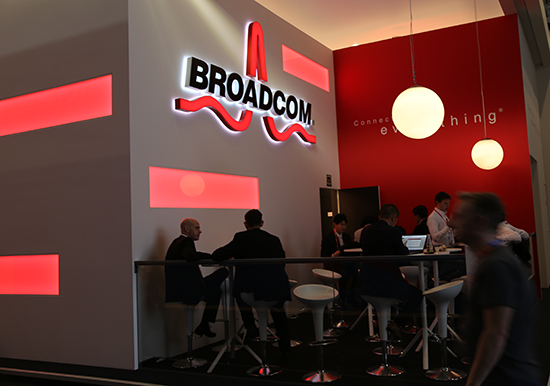 Broadcom introduced the first full-duplex modem implementation based on G.fast. Broadcom said the innovation builds on the advantages of G.fast for high-density residential environments. Full-duplex utilizes the entire frequency spectrum of G.fast simultaneously in both the downstream and upstream communication paths, effectively doubling the simplex capacity of G.fast. Depending on the nature of an operator’s copper plant, this will result in either a doubling of the peak bandwidth, or the maximum distance from the distribution point to the customer premise, as compared with the existing G.fast standard. Broadcom’s full-duplex implementation is available today on the production-released BCM65400 device family. Broadcom is working with the next-generation G.mgfast initiative within the ITU to bring a fully-standardized full-duplex solution to the broadband market, pending completion and ratification of the new standard. Broadcom says Ethernet has become the de-facto networking technology for connecting various electronic systems in the car, such as body electronics, infotainment, and ADAS. High speed Ethernet links are essential in getting endpoints such as cameras, RADAR and LIDAR to transfer large amounts of data across the network for accurate real time decision making. “We are excited to be leading the next evolution of in-vehicle connectivity and networking. Broadcom has been instrumental in developing the automotive One Pair Ethernet technology and ecosystem from inception. As new technologies make inroads into vehicles, Ethernet will play a crucial role in the next wave of automotive applications. Our latest offering of Gigabit capable portfolio and our continued efforts to define next generation PHY technologies, is empowering auto manufacturers to bring new innovations to next generation connected vehicles,” said Ali Abaye, senior director of marketing of the Physical Layer Products Division at Broadcom. 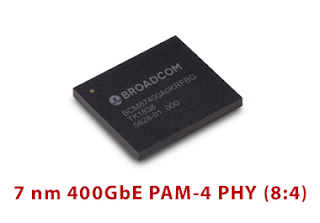 To date, Broadcom has shipped more than 50 million automotive 100BASE-T1 BroadR-Reach PHY and switch Ethernet ports. Broadcom announced that the waiting period under the Hart-Scott-Rodino Antitrust Improvements Act of 1976 has expired with respect to the proposed acquisition of CA Technologies (NASDAQ: CA). Expiration of the waiting period under the HSR Act satisfies one of the conditions to the closing of the pending transaction, which was announced on July 11, 2018. 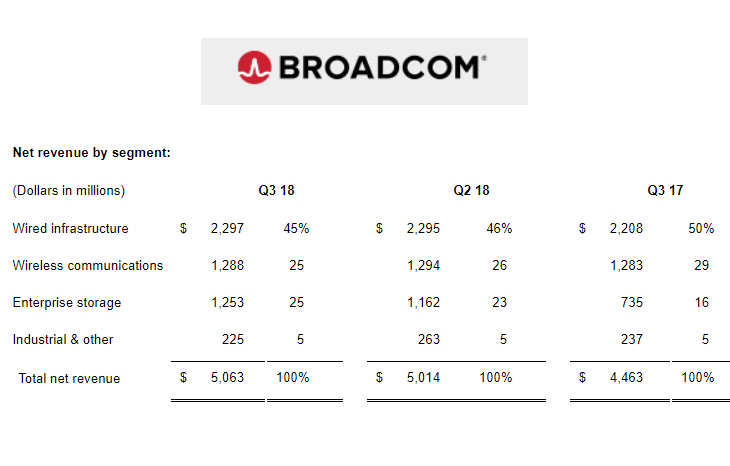 Broadcom believes it will be able to complete the merger in the fourth calendar quarter of 2018. 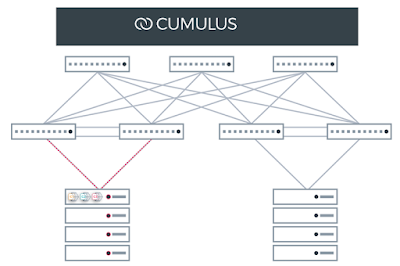 Arrcus, a start-up based in San Jose, California, emerged from stealth to unveil its software-driven, hardware agnostic network operating system for white boxes. Arrcus said it sees an opportunity to help enterprises transform the way they manage their networks, liberating them from vertically integrated proprietary solutions and opening the door to horizontally diversified choices of best-in-class silicon and hardware systems. The company's new ArcOS networking operating system has been ported to both Broadcom’s StrataDNX Jericho+ and StrataXGS Trident 3 switching silicon platforms. ArcOS is built on a modular micro-services paradigm and offers advanced Layer 3 routing capabilities. Key elements include a hyper-performance resilient control plane, an intelligent, programmable Dataplane Adaptation Layer (DPAL), a data-Model Driven Telemetry for Control Plane, Data Planes and Environmental, and a consistent YANG/OpenConfig APIs for easy programmatic access. These capabilities in conjunction with Broadcom’s StrataDNX Jericho+ platform enable the support for the full BGP internet routing table. Arrcus also announced $15 million in Series A funding from General Catalyst and Clear Ventures. Advisors include include Pankaj Patel, former EVP and CDO of Cisco; Amarjit Gill, serial entrepreneur who founded and sold companies to Apple, Broadcom, Cisco, EMC, Facebook, Google, and Intel; Farzad Nazem, former CTO of Yahoo; Randy Bush, Internet Hall of Fame, founder Verio (basis of NTT’s DataCenter Business); Fred Baker, former Cisco Fellow, IETF Chair and Co-Chair of the IPv6 Working Group; Nancy Lee, ex-VP of People at Google, and Shawn Zandi, Director, Network Engineering at LinkedIn. “We use ‘network different’ as our fundamental approach to enable the freedom of choice through our product innovation and challenging the status quo. Arrcus has assembled the world’s best networking technologists, is bringing new capabilities, and changing the business model to make it easier to design, deploy, and manage large scale networking solutions for our customers,” stated Arrcus co-founder and CEO Devesh Garg. Arrcus is headed by Devesh Garg, who previously was president of EZchip (acquired by Tilera) and founding CEO of Tilera (acquired by EZchip). He also served at Bessemer Venture Partners and Broadcom. Other Arrcus co-founders include Keyur Patel, who was a Distinguished Engineer at Cisco; and Derek Yeung, a former Principal Engineer at Cisco. President Trump signed an executive order prohibiting Broadcom from acquiring Qualcomm or proceeding with any substantially equivalent merger, acquisition, or takeover of the firm whether effected directly or indirectly. The order cited "credible evidence" that Broadcom, along with its partners, subsidiaries, or affiliates, impairs the national security of the United States. Trump said he was taking this action upon review of a recommendation from the Committee on Foreign Investment in the United States. Broadcom issued a statement saying it was reviewing the order. Broadcom officially completed the redomiciliation process to change from a Singapore company to a Delaware corporation. Broadcom is now officially headquartered in San Jose, California. It has over 8,500 employees in 35 states. The change in residency is expected to lead to several hundred million dollars in additional U.S. taxes. Effective as of the close of trading on April 4, 2018, all issued ordinary shares of Broadcom Limited have been exchanged on a one-for-one basis for newly issued shares of common stock of Broadcom Inc. Broadcom Inc. common stock will begin trading on April 5, 2018, and the company's trading symbol on NASDAQ will remain unchanged as "AVGO." The completion of our redomiciliation to the United States marks an important milestone in our company's history as Broadcom has been an American company in every respect but our legal domicile. 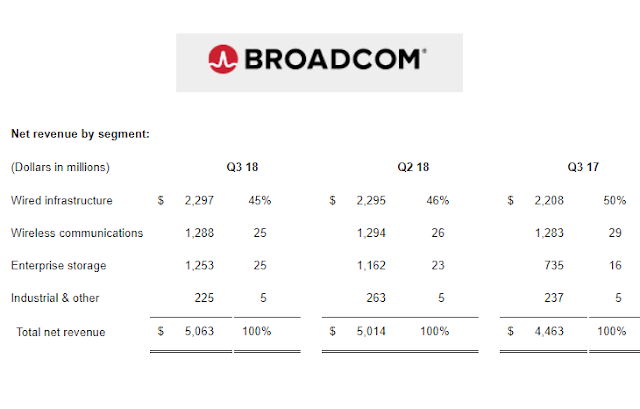 As I said when we announced our intention to redomicile from the Oval Office in November 2017, we believe that America is once again the best place for Broadcom to do business," Hock Tan, Broadcom's President and Chief Executive Officer. Qualcomm issued a statement saying all of Broadcom’s director nominees are also disqualified from standing for election as directors of Qualcomm. 'the company will reconvene its 2018 Annual Meeting of Stockholders on the earliest possible date. Stockholders of record on January 8, 2018 will be entitled to vote at the meeting. Broadcom introduced a terabit-class Ethernet switching chip designed for high-capacity cellular fronthaul networks. The Broadcom Monterey Ethernet switch (BCM56670) targets Ethernet-based 5G radios and while also supporting existing CPRI-based radios. It supports the IEEE’s new 802.1CM (Time-Sensitive Networking for Fronthaul) standard, which provides an Ethernet synchronization solution, CPRI-to-Ethernet bridging, and nanosecond-scale jitter and delay control. IEEE 802.1CM specifies how to carry cellular radio traffic over Ethernet, It relies on pre-emption, Synchronous Ethernet, and the 1588 Precision Timing specification. 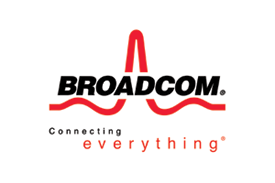 Broadcom said its Monterey silicon offers an order-of-magnitude increase in synchronization accuracy by moving time stampers from Ethernet MAC to SerDes I/O, exceeding 3GPP, IEEE, and ITU-T specifications for 4G & 5G networks. Broadcom announced commercial availability of its Jericho2 and FE9600 chips, the next generation of its StrataDNX family of system-on-chip (SoC) Switch-Routers. The Jericho2 silicon boasts 10 Terabits per second of Switch-Router performance and is designed for high-density, industry standard 400GbE, 200GbE, and 100GbE interfaces. Key features include the company's "Elastic Pipe" packet processing, along with large-scale buffering with integrated High Bandwidth Memory (HBM). The new device is shipping within 24 months from its predecessor Jericho+., Jericho2 delivers 5X higher bandwidth at 70% lower power per gigabit. In addition to Jericho2, Broadcom is shipping FE9600, the new fabric switch device with 192 links of the industry's best performing and longest-reach 50G PAM-4 SerDes. This device offers 9.6 Terabits per second fabric capacity, a delivers 50% reduction in power per gigabit compared to its predecessor FE3600.